If you are facing a criminal accusation in Clinton Township, your first step is to retain a experienced criminal attorney. Do not self represent, or choose a lawyer that does not make the extra effort when it comes to your case. Your future is important and you should never take risks when it comes to the quality of your legal representation. Every criminal defense involves a confrontation against Judges, prosecutors, police officers, detectives, and the unending resources of the judicial system. Winning is everything. Having the right lawyer as your representative enthusiastically opposing persecutors in a diligent manner is exactly what you need for your defense, because great results are often the results of great lawyering. Turn the tables against the prosecution by contacting attorney Daniel Hilf of Hilf & Hilf, PLC. When it comes to your defense counsel, there is no room for mistakes, inaccuracies, misstatements, or anything short of outstanding legal representation. You deserve to be heard, and your lawyer is your mouthpiece. Attorney Daniel Hilf's job is to defend people is the best possible way, not to judge his clients, and to hold his client's secrets confidential. He is here to make a bad experience of being caught in the justice system better by giving you the confidence that you are being represented in the correct manner. The worst imaginable situation to face in life is probably having to face a false accusation in Court. It is a difficult fight, so you should come to Court prepared by hiring the best lawyer available to you. Attorney Daniel Hilf vows to battle against possible false convictions by devoting proper time and legal resources to prepare his files and to be ready if a trial is necessary. Another problem with the justice system is that people are "overcharged" by the prosecution. Overcharging means the prosecution assumes a person engaged in more serious crime and pursues a higher, inaccurate charge. For example, a person accused of home invasion may have been invited into the residence, and the correct charge to a theft should have been Larceny. The goal of some defenses is to pursue a resolution for the lessor, accurate charge. Case preparation, upholding Constitutional rights, compassion, and persuasion all play roles in the criminal defense employed by attorney Daniel Hilf. Hire the lawyer that you think will do the best job for you. 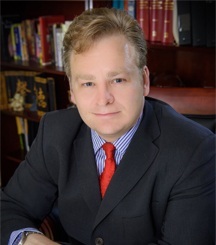 Attorney Daniel Hilf is verified as a top rated lawyer, with over 20 years of criminal defense and jury trial experience, properly and fully representing thousands of satisfied clients in his career. Have you been accused of a crime, and do you need to go to Court at the 41B District Court, Macomb County Circuit Court, or another Court? Payment plans are available through Hilf & Hilf, PLC in many situations. We accept as payment all major credit card,s debit cards, check, wire transfer, money order, and cash. Contact Hilf & Hilf for any criminal law issue.